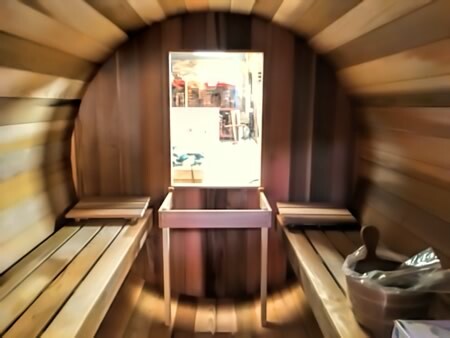 ​Ukko Saunas supplies ​Australian made barrel saunas. 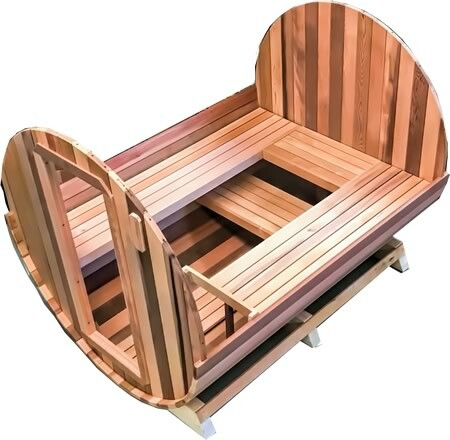 All Ukko barrel saunas are made out of premium grade Western Red Cedar Timbers delivered from Canadian sustainable forests. 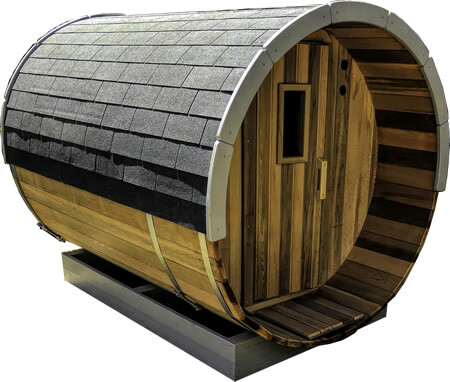 These barrel saunas are great addition to any backyard decor. You can personalize your sauna by having overhang porch with or without seats. Or having wood fired heater or even LED mood lights and speakers. As a standard, sauna comes with glass door in Cedar frame but you have an option to choose traditional Cedar door with window. Cedar barrel sauna with ​glass door, overhang and front seats. Cedar barrel sauna with traditional door, overhang and front seats. Barrel saunas are very easy to maintain. If you would like to preserve the colour of Cedar for a long time, all you need to do is to put, once in a while, a few coats of special outdoor timber oil. We recommend Sikkens which can be easily obtained from any hardware store nearby. 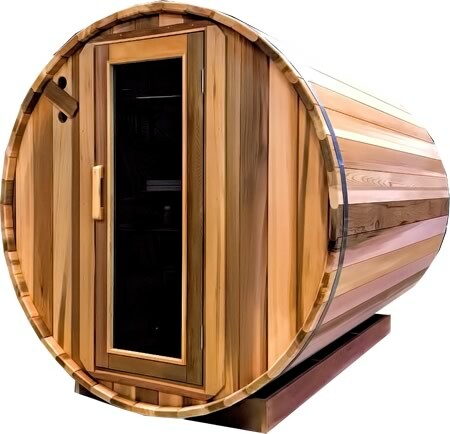 ​Due to excellent natural insulation characteristics of the Cedar, these barrel saunas are exceptionally efficient to operate. 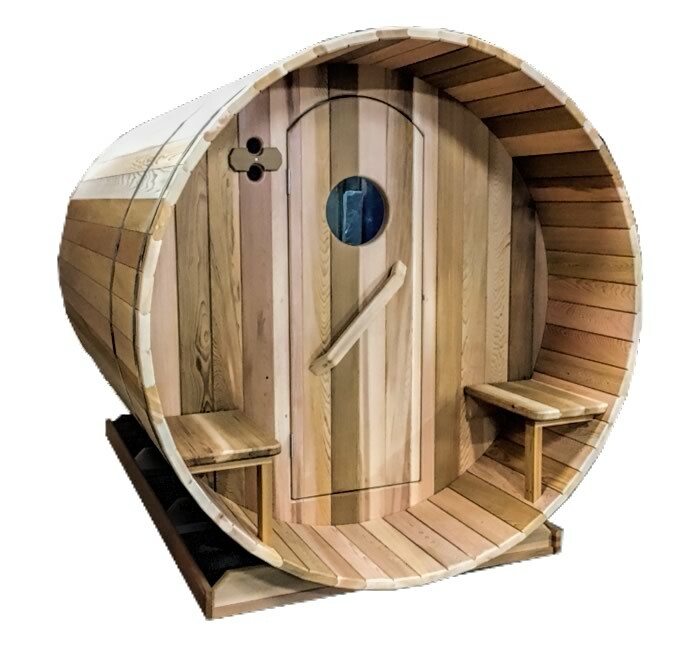 The unique round shape design of these barrel saunas brings the best heat and steam circulation comparing with conventional square or rectangular sauna rooms – 23% less area to heat – and as a result less power consumption and savings on electricity bill. 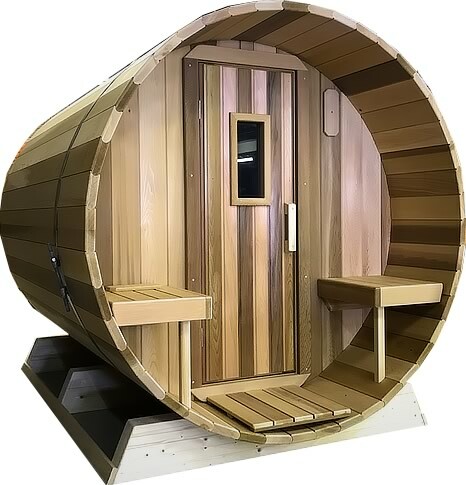 Besides you can tell us what inside length and diameter of the sauna you prefer and we will build the sauna to your specifications if required – this is what we call custom made barrel.